Engaging with your customers is the key to success in retail settings. Whether you’re reaching your audience through an advertisement or a video display in your store, it’s important to present a professional, polished production. As a top Dallas video production company, Top Pop Media is ready to take your retail videos to the next level. From the local corner store to worldwide retail brands, we’ve created engaging, sales-oriented videos with the goal of achieving real results and improving the bottom line for our clients. By showcasing their products and stores in unique ways — and speaking the language of their target audiences — we’re helping clients to “move the needle” every day. 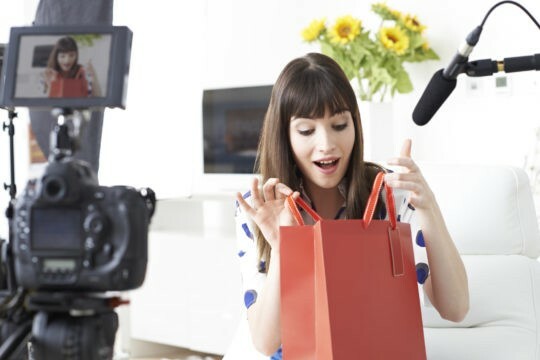 Retail videos are an important part of any retail marketing strategy. From influencer videos to POS video assets, Top Pup Media knows how to help you create quality pieces. Working closely with our clients and truly listening to what they have to say is crucial to our success. At Top Pup Media, we define success by how well we convey our client’s message and use our very best ideas and technologies to create the best possible video. Presenting a cohesive brand image is crucial for a business of any size, and we tailor our video productions with this in mind. From graphic styling to editorial content and tone, we want to represent your business at its best. As technology advances at breakneck speeds, visual media has become increasingly prominent in every area of our lives. Although images are crucial in connecting with a potential customer, video is even more effective at this. When a video stands out, grabs attention, and delivers a message effectively, it can become a powerful tool in conveying a story or emotion to an audience. Emotions are a huge factor in purchasing decisions, and videos are the most effective tool in moving beyond what just an image or audio can accomplish. That’s why it’s so important to make use of the talents of a prominent video production company, with real experience in creating marketing-oriented videos. Top Pup Media knows what sells: professional, creative retail videos! We’re in this with you — and our production team is never more than a phone call away. Contact us today and let’s begin creating the retail video that gets you results!